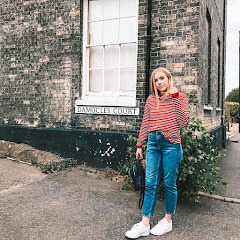 First of all, lets acknowledge the fact that I haven't posted in a few months...the ironic part being the last blog post I posted focused on the topic of disconnecting from the internet. Seems as though I definitely heeded my own advice on that one. However, I'm back. A few things being different, one being my hair is a lot shorter than it was, and my life being very very different. But anyway, let's get to why we're all here. It's officially here, with all of our Instagram feeds being filled with pumpkin patches, the mentioning of the word Christmas, pumpkin spice lattes and the must have photo of feet in leaves that have fallen there's simply no denying it. So why is autumn the best? 1. Firstly, the clothes. It's the perfect excuse to 'have' to go shopping to pick up those must have chunky knits, scarves, hats and buy those amazing new boots you just 'need'. There's no better time to have a wardrobe refresh than a change in season. Whilst putting the strappy tops and shorts away and getting out the trusted winter coat at first is a tad depressing. Once we accept the fact that you can't be wearing sandals outside anymore it's actually not half bad. 2. HALLOWEEN! need I say more? 3. Cosy nights in are now back to being 'acceptable'. There's no guilt in not going out and enjoying the longer warm nights, with it now getting cold and dark at 6pm everyone can agree the best thing to do is get tucked up with a cuppa and binge watch crappy TV. So there we have it, three reason why I really think autumn might just be the best season.